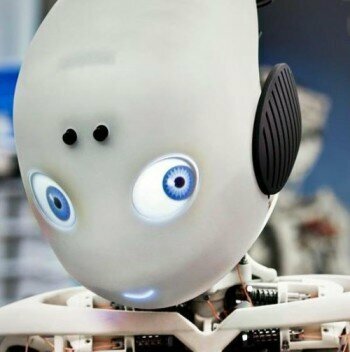 3D printed Robot “Roboy,” the humanoid robot turned one year old last week. Work on Roboy first began last year, in early 2013, when the University of Zurich’s Artificial Intelligence Lab set to work on the next generation of robots. Their goal was to build a robot that could more accurately replicate how the human body works. Roboy was designed in hopes of helping doctors and scientists better understand how the human brain and body interact, as well as to offer a unique platform on which doctors could train. The creation on Roboy is part of a wider European research project called Myorobotics, a project that aims to create robots that are cheaper to build, as well as safer to be around. The project presented researchers with challenges to produce quick movements, as well as soft skin. But what is perhaps most intriguing about the project is Roboy’s hand, which was 3D printed in one complete piece, including the joints. The hand includes small cable channels, springs, and other features which allow Roboy’s hand to mimic that of the natural rotation of a human hand. While the goal of Roboy has been to understand how our bodies work – it has also shown the potential that 3D printing has for the more complex and advanced projects of today.